If you own a white colored dog, or you have a small breed, then I’m sure you know how frustrating tear stains can be. 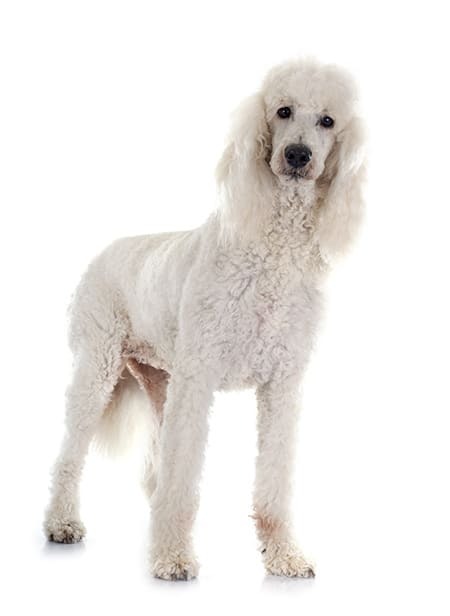 You know… those brown or red stains that stand out against your dogs beautiful white coat that would otherwise be pristine. It’s something I get asked about often as a professional groomer, and is (unfortunately) one of the more difficult things to get rid of. ​What Are Tear stains exactly? ​Which breeds are more prone to tear stains? ​What about tear stain removing products like Angel Eyes? It’s simply discoloration caused from excessive tearing or insufficient drainage, the medical term for this is called Epiphora. It’s quite similar to what happens when you get some dirt in your eyes: the eye will begin to tear up as a defense mechanism to flush away dirt, debris, or irritants. But with Epiphora the eyes water constantly draining into surrounding coat and causing red or brown stains. ​But with Epiphora the eyes water constantly draining into surrounding coat and causing red or brown stains. ​The actual discoloration is caused by the accumulation of a pigment called Porphyrin, which is found in tears, saliva, and urine. This is why you may also find discoloration on your dog’s paws (if they lick constantly) and groin area. The same as you would expect in humans – allergies, irritation, infection, eyelashes getting caught in the eye, hair getting caught in the eye, poor diet, stress, or simply genetics. The first step is to see a vet to rule out infections, irritation, allergies, or injuries to the eye. Infections and injuries can be properly treated by a vet. Irritants may include sensitivities to airborne particles present in your home such as dust, smoke, sprays, or air fresheners. ​Allergies are another common factor, and will typically be paired with other symptoms, such as itchy skin, infected and itchy ears, redness and inflamed skin, and eye infections or discharge. Your vet will be able to properly prescribe medications to counter these symptoms, and track down what’s causing the allergic reaction. A very common cause is short, sharp hairs near the eye causing irritation. 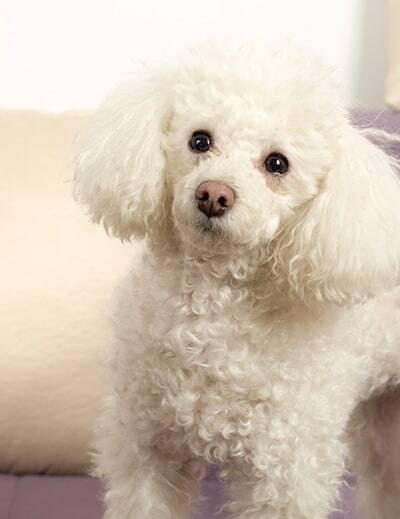 With some dogs a groomer may be able to trim carefully around the eyes to add some relief, or in extreme cases a vet may need to perform surgery to remove the hair roots completely. Finally, once you can safely rule out any medical conditions or discomfort, then it generally falls to genetics. Meaning certain breeds are just more prone to having excessive tear production, and therefore more staining will occur. With most dog breeds there are small holes beneath the eye that drains tears away and down the throat. However, certain breeds with shallow eye sockets cannot properly drain excessive tears, and therefore causes Epiphora. Another little known fact: puppies produce more tears while teething. So during this time frame you can absolutely expect some tear stains. Therefore, you may find that the staining reduces overtime, and to the point where you don’t have to worry about it. You heard that right, all dogs get tear stains, no specific breed is safe. It’s simply more obvious on white coats. But like we said before, the level of tear staining comes down to a whole list of variables, and each dog is different. However, the breeds that suffer the most from tear stains are those with shallow eye sockets, which prevents proper drainage down the throat. First we need to get this out of the way: there is no single solution to cleaning tear stains. What works for your dog may not work for another. There are some measures that many owners (including professional show dog owners) claim work, while others have never found a solution. What we’ll list here are the most common and widely accepted methods. 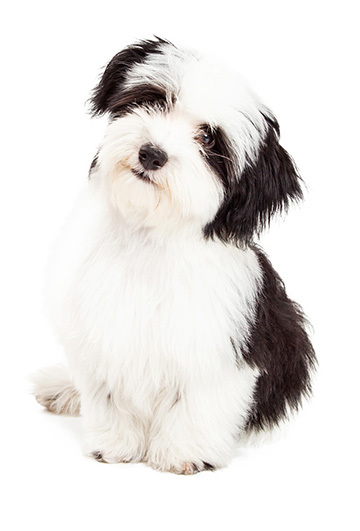 Have a dog groomer carefully trim around the eyes​, removing all the stained hair. This is a short term fix, but this is what many owners result to. And while there will always be some visible stains, the majority of it is under control. It’s also worth noting show dog owners will not shave eye corners at all, they simply let the hair grow out fully (including the stained hair). Then right before the show they’ll apply creams or chalk with a lot of pigment (which is very carefully applied) to hide the stains, ​and is later​ rinsed off immediately after the show. ​So if you ever wonder how they get their dogs to look so pristine, it’s simply just makeup, and pet owners should not attempt it at home. Another possibility is through prevention instead of treatment, or stopping your dog's coat from ever staining in the first place. Owners can do this by simply wiping away the tears as they develop. ​This means you’ll have to manually clean the eyes several times a day with a gentle, slightly damp cloth. It can be a very tedious process, especially for excessive tearing, but this process have been proven to work. Based on my professional experience, I have never found a commercial product that was a surefire way of removing dog stains. And believe me, if I found it I would be revered as a grooming goddess to all my clients. Tropiclean face shampoo (the blueberry kind) is soap free and many groomers use it to help rid of tear stains. If used often enough SOME clients have reported a lesser extent of tear staining. ​These soft chews claim to use antioxidants and anti-inflammatory ingredients to reduce oxidation released through tear ducts. Does it work? I’ve heard mixed results, and they do not publicly state what the active medical ingredients are in Angel eyes. In which case I highly recommend consulting with your vet first before feeding supplements or medications to your dog. ​Some vets and show groomers have theorized that high mineral and iron content in tap water may cause increased porphyrin, which leads to prominent staining. The solution is to use filtered water only. Again, there appears to be varying results, but it’s an experiment that won’t do any harm in trying. A healthy and balanced diet is essential for any dog, so if you haven’t switched to a high quality dog food then now is the time. Choosing the right food is essential for the health and happiness of your dog, and it may just improve tear staining along the way, so I highly recommend you do this in any situation. ​You absolutely cannot use any of these (or similar) products near your dog’s eye, as you can cause severe pain and irreparable damage, and not to mention a costly trip to the vet. I understand cosmetically how unappealing tear stains are, and how stubborn they can be to remove. My plea to you is to have patience! If you’ve consulted with your vet to rule out any medical conditions, then experiment with regular grooming, cleaning, and using high quality food and water. You may never get rid of them completely, but you can certainly reduce their appearance. I’ve been using the Petpost one, and its working well. Do you have any other suggestions? Has your Beagle and Jack Russel improved at all? After angel eyes stopped making their products with tylosin everyone has been scrambling to find a cure. My dog had bad tear stains and it’s been a huge struggle for us. I was cycling through a bunch of products and didnt see results that even came close to what tylosin did. Tearplex, eye envy, ocubright – none of them worked. Then a few months ago i started using the Petpost brand and it really seems to be working! In fact it’s kind of miraculous. Has anyone else had good results with Petpost? Their website says it’s made in the USA and all of the ingredients seem natural, but I am just surprised because of how well it’s working. I’ve been using the soft chews https://www.petpost.us/products/tear-stain-soft-chews and the tear stain remover https://www.petpost.us/products/tear-stain-remover. I posted the links so you can seee them. Has anyone else been using these products and seeing good results?? I like that you stated the methods that do not work. Most articles about tear staining only talk about a few things that do work. I don’t think that there is any one specific solution to tear stains. I have used a variety of products and I have had the best results just by being very consistent. Here is what I do now and it works really well. The first thing is to improve your dogs diet by only feeding high quality dog food and filtered water in stainless steel bowls. This way you are making sure that your dog has the best overall health and it reduces the risk of any bacteria getting in through food and water. I also feed my dog a natural tear stain supplement and clean my dogs face every day with tear stain wipes. I think that if you do those three things, (better diet, adding a supplement, and wiping daily) you will see improvement too. I have been using Beaphar Tear stain removal and it works really well. Gets rid of everything. Got it in a local petshop and wasn’t too expensive. shitzu red tear stains FIX. OK, for months used every natural product, remedy, — to no avail. dog got sick, intestinal issue. took to vet, tested, nothing. went home. gave dog shot of activated charcoal, …whale! no more sick, runs, got better. soon after, I notice the eyes! no evident tear stains. wonder if charcoal did a fix. says for allergies, so me thinks table foods, spice, and hard water, (iron) was cause. Still no tear stains, all gone on my white pup. giving treatscw charcoal in them…yay! it’s a miracle!!! What kind of activated charcoal was used? I think I heard that angel eyes used to be an antibiotic which works to ckear up the stains. 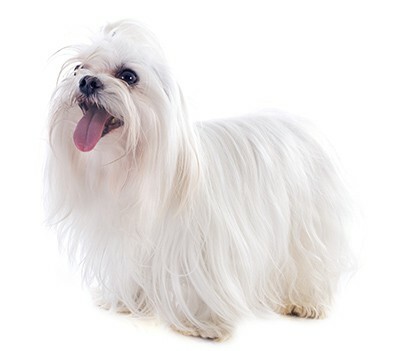 My dog who is a maltese has always had tear stain problems. AT one ooint she developed a bad urinary tract infection and had to be given a large dose of antibiotics that would work for a couple weeks. (Instead of the daily pill option). I noticed after she had the shot, she didnt produce any tear stains for a couple months. I thought maybe thats all she needed until she started producing the stains again. So products that reallyclear up the stains are probably using an antibiotic and even tho no tear stains are nice, its not healthy to be on antibiotics long term. Also as a side note, when a shampoo bottle says “no more tears” im pretty sure its talking about tearing hair and not eye tears. After i had been using the tear free shampoo around my dogs eyes I wondered what “tear” it was referring to. I put it in my eyes and it burned like crap. My wife and I have a 10# Maltapoo rescue guy that we just love. Had a terrible time with tear staining and top of his front legs turning red from licking them. Switched dog foods a couple of times and started using Whole Hearted grain free Lamb and Lentil recipe and Trader Joe’s canned dog food and all of his tearing stains are gone and have been for quite a while. This may help someone if you decide to give it a try. I have an elderly pug. As he is getting older it is becoming more and more difficult to clean the red stains from around his eyes. I have recently been trying baby shampoo as a cleanser and then following that with a small amount of baby oil in the folds under his eyes. Being very careful it seems to soothe him and it help aid in removing some of the redness. While I cannot erase the stains completely……it does seem to help him and his appearance somewhat.